The past year has been a very busy one for Organic Funk with a European Tour, several video releases, see it on YouTube at http://youtu.be/BDi02yF4sqE, and the production of a Documentary Presentation which will be released in the coming months. Look for the Trailer on our web site and on Social Media Networks. Steve Thomson, the Producer/Director of the program had this to say, “It is a timely piece and in addition to some of the great performances from the band’s Disneyland Paris concert and some very impressive re-enactments and studio performances, the host of the documentary, Music Historian & Broadcaster Holger Petersen, does a terrific job weaving the band and the audience through the process of what it takes to be a musician in today’s world. It is sure to be an eye opener for many upcoming artists who are seeking a career in music or anyone else who is intrigued by someone who aspires to the challenge”. This “Celebration of Music” was filmed at the Legendary Phase One Recording Studio in Toronto, Canada and at Disneyland Paris and we a certain that it will entertain, enlighten and be enjoyed by audiences everywhere. A DVD is also being scheduled for release and will include the full Paris Concert and also the Documentary Presentation with added bonus interviews. 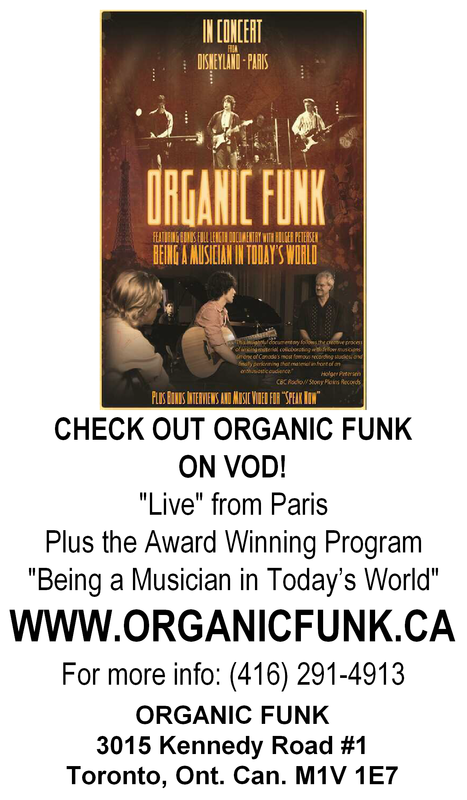 You can follow us online and on the band’s website at www.organicfunk.ca. Chat with us at organicfunk.wordpress.com. “We really enjoy hearing from our friends and music fans and hope you will drop us a line. Jim, Alan, Shawn or I will be certain to respond…” Michael Costantini. 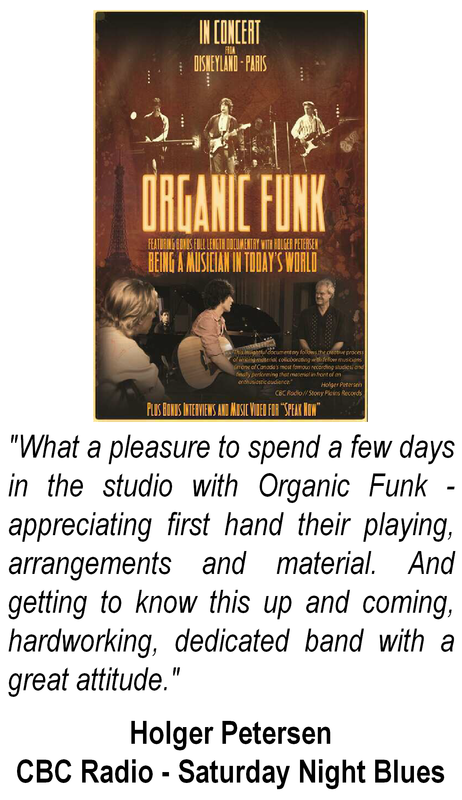 Organic Funk have been compared to “a pre-popular Maroon 5”. Their “Speak Now” CD has been embraced by radio with very encouraging comments… “There is something very pure and raw about them…” “They may be on to something…” “Definitely a winner…” “Absolutely love it…“ “Speak Now” features 10 great tracks described as “contemporary rock with a funky groove and a hint of retro”.